Whisk the egg yolk with the mustard and salt in a bowl until creamy. Add a few tsp of oil and whisk well. The mixture will begin to thicken and turn light in colour. Add the remaining oil slowly, whisking vigorously all the time. The mayonnaise will become quite thick and will have a cream colour. When all the oil has been added, whisk in the lemon juice. 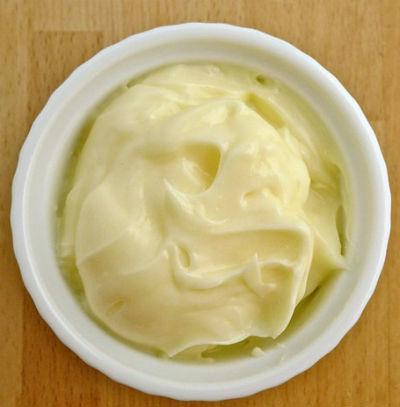 Feel free to comment or share your thoughts on this Mayonnaise Recipe from Awesome Cuisine.